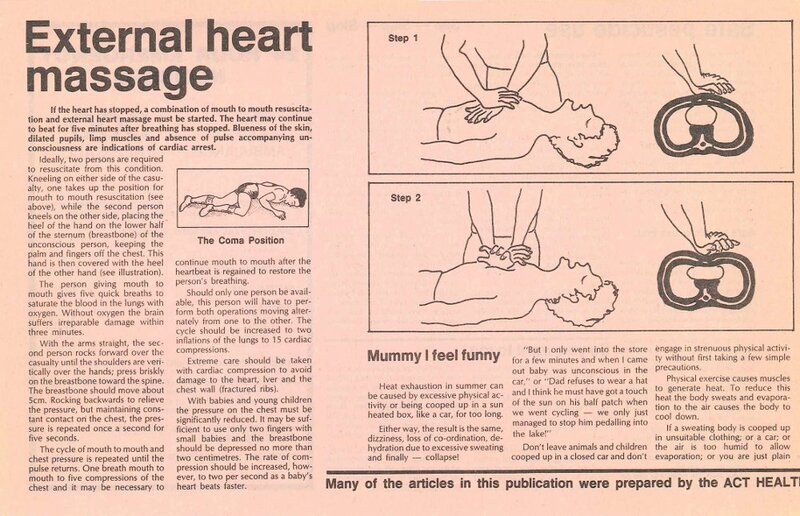 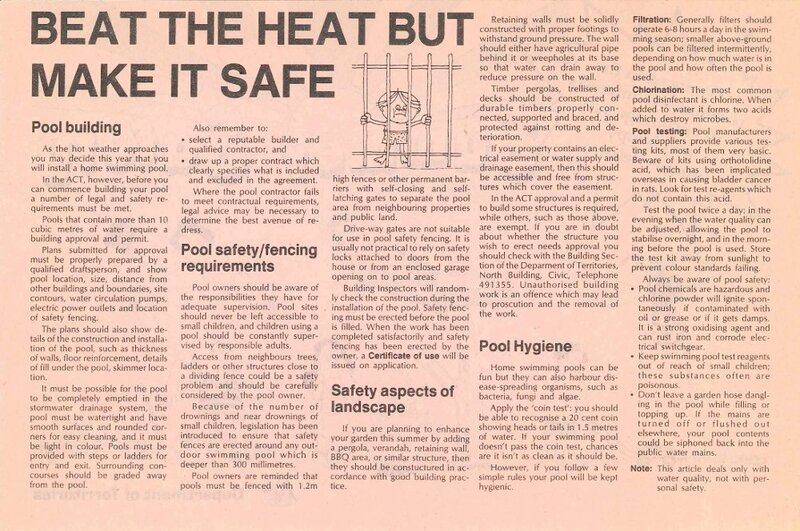 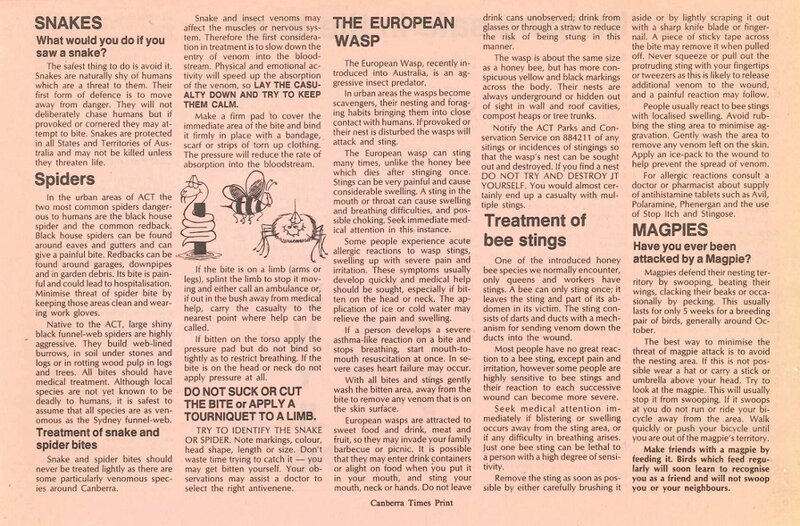 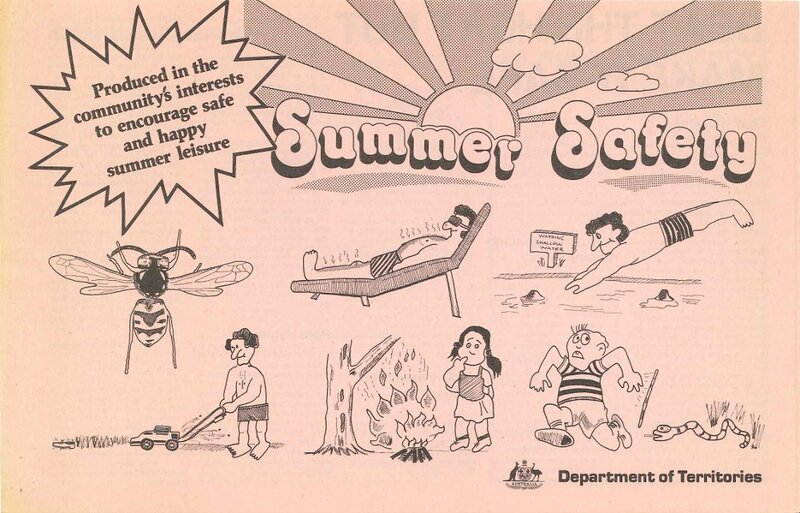 This month we have a 'Summer Safety' supplement produced by the Department of Territories as an insert for the 27th of October 1986 Canberra Times. 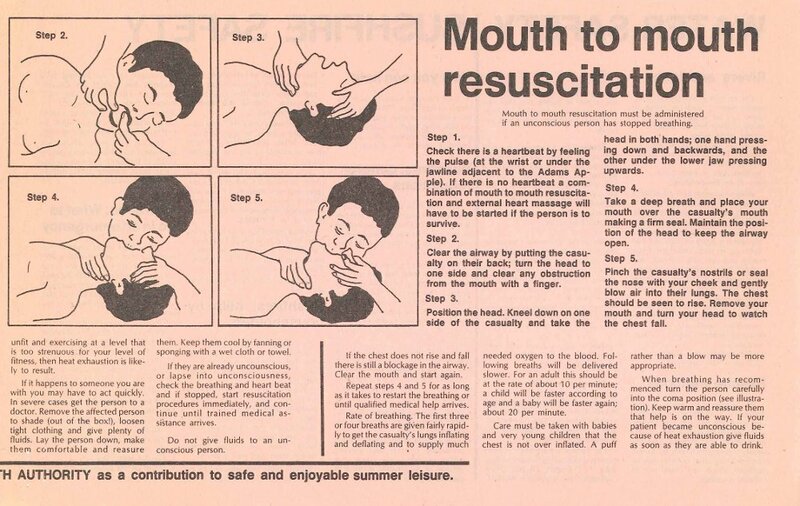 This supplement was found in a collection of media releases that ArchivesACT is currently indexing as a future reference aid to Government business during the 1980s. 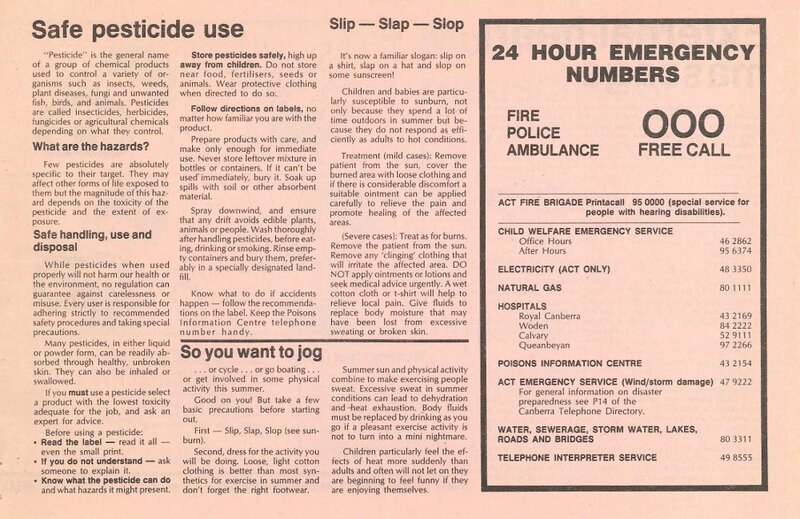 It should be noted that the phone numbers listed and some of the information published in this supplement is out of date. 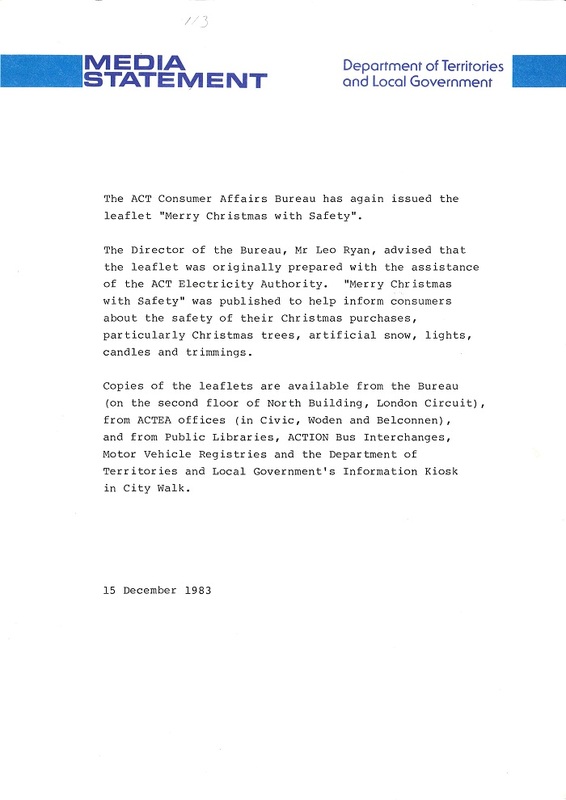 Current phone numbers and corrected information follows each page where neccessary (correct as of 15/12/2011). 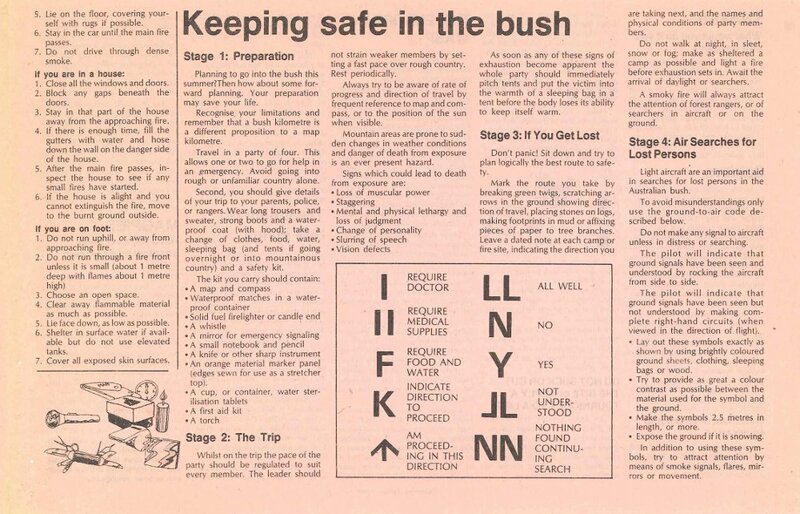 The following visual signals are the current internationally recognised ground-to-air signals. 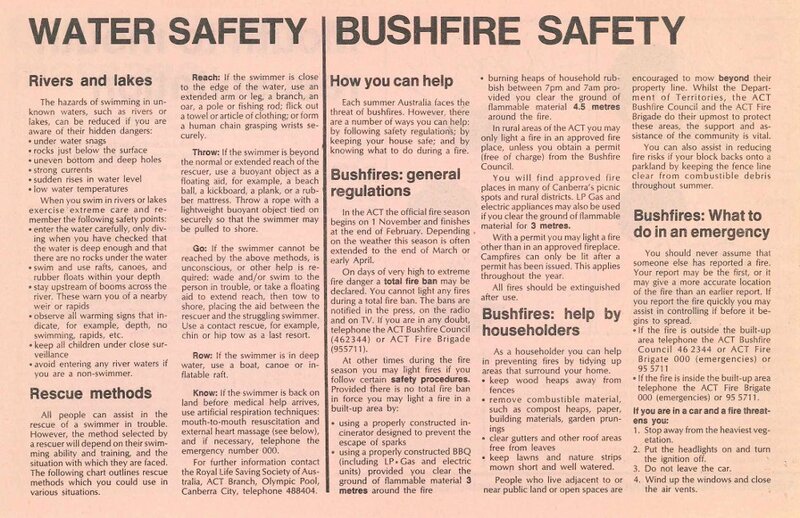 They are authorised for use in the Australian Search and Rescue.